Where's My Water? is now available to play on the new iPhone X! After a long day at work, it’s bath time! 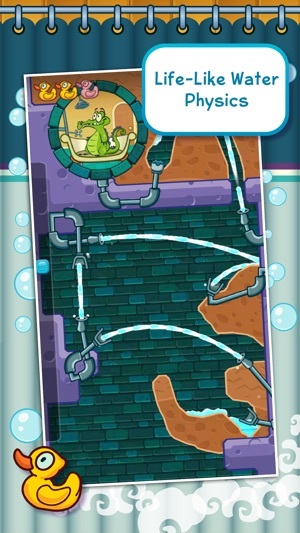 But Swampy’s shower is broken and he needs your help to guide the water to him. 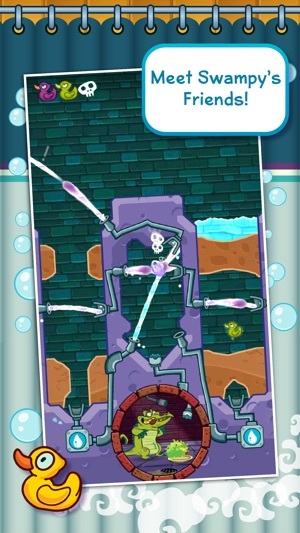 Navigate a path through the dirt past contraptions and obstacles to get every drop to fill the bath. I honestly love this game so much. I bought it a few years ago, played it a lot, and forgot about it for a couple of years. I just redownloaded it and I can't stop playing it. It's really satisfying to play. The games are challenging enough to keep it interesting, but never so challenging that you get frustrated. 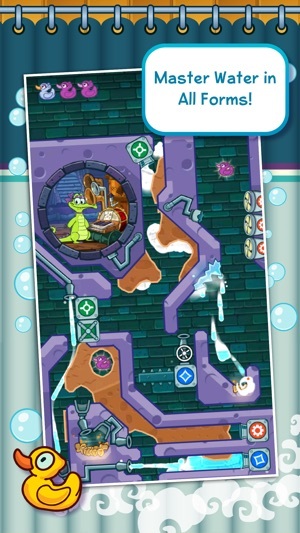 The graphics and sounds are amusing and nice to look at, and I'm kinda in love with that little alligator. 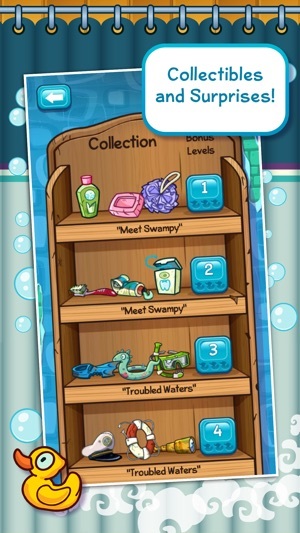 Half the fun for me is just successfully completing a level so that he can get his shower. He just looks and sounds so happy when he gets his shower, and that makes me happy. I know this is supposed to be a children's game, but I'm 45 and I freaking love it. 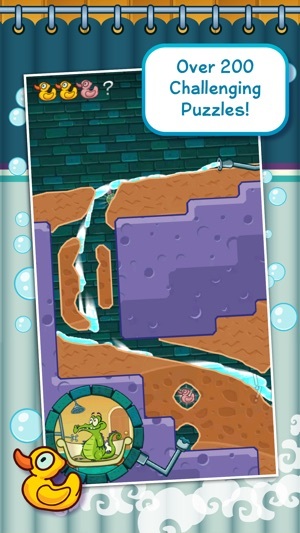 It's one thing to have an ad after every level. BUT TWO ADS? Every time I watch the required amount of time to fast forward through the rest of the ad (which is typical for most apps) it then has a SECOND ad pop up. This game used to have so many bugs and close regularly for no reason. Glad they fixed that fatal flaw at least. But the second you guys fix that issue, you pull this stunt? I've never played a game with so many ads. Fix this ridiculous issue and I'll delete my review and give the game 5 stars. This game has the potential to be good, and even something I'd recommend to others... but given the constant double ads after EACH LEVEL, I will never recommend this game to anyone.